Take it to the next level. Click to learn more about our custom builds. 25 pounds. 120mm travel. Boost front/rear. NOTHING to modify because we’ve made it super light and built correctly right out of the box for you. The last thing your kid wants to do is ride with an extra 5 pounds if they plan on riding uphill, and a 27.5" wheel bike is just too unwieldy coming off a 24" bike. We've created the ultimate trail shredding machine with our new Maxwell 26. 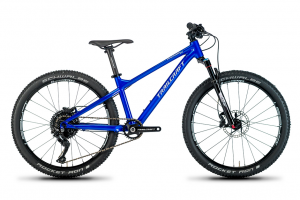 Dominate the trails going both down and up with this amazing bike - the name Maxwell comes from Maxwell trail in Fort Collins, Colorado where we love to ride. It’s a super technical, steep and rocky trail but the reward down is so nice. It can be done on a hardtail, but it is so much more fun on a full suspension bike! If your local riding area requires climbing for the really good stuff going back down, then the Maxwell 26 is your next bike. Our new Maxwell 26 comes in at 25 pounds with best in category components. Attention to detail with top shelf level components include Stans Crest MK3 wheels, 85 gram ultralight rotors, an extended range 11-42 cassette and 152 mm direct-mount cranks with aluminum spindle typically found on much more expensive bikes. We’ve built the best bike with the best components so you can spend more time riding and less time pushing uphill. This is a fun, playful, super flickable bike for all types of mountain bike riding. The Maxwell 26 is built for next level riding with some key geometry features designed specifically for riders of young and old! The Maxwell 26 features a Horst link suspension design which is active under braking and very plush over both small bumps and bigger hits. Short yet stable 420mm chainstay length and a 1082mm wheelbase is the perfect 26" trail bike for riders coming off a 24" bike. ALL level bike builds get our new lightweight 152mm Trailcraft Cycles aluminum spindle direct mount cranks with your choice of 26, 28, 30 or 32 tooth narrow-wide style chainring. Choose 26 or 28 tooth if you are riding steep hills and lung burning mountain climbs. Lower elevation levels or flat areas are fine with a 30 or 32 tooth chainring selection. Most adult bikes don't even offer this level of configuration out of the box! Want to go a bit more custom or full custom on this build? Contact us! 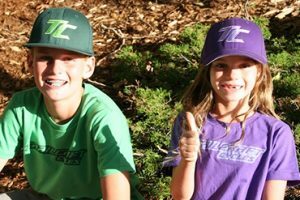 We are a small family business focused on building the best kids mountain bikes possible. We truly geek out on this stuff, just see our Instagram page for some of what we are doing as well as our custom builds page. We bring our frames in from Taiwan (un-assembled/not built) and we build each bike per order in Fort Collins, Colorado with US labor. Since we don't import "complete bike in box from Asia" like pretty much everyone else does, we maintain a high quality control from installation of headset, bottom bracket, and even putting the derailleur hanger on frames here in the US. You can be proud to tell your kids they have a unique bike which was truly built to order from the frame up! The Maxwell 26 has high performance geometry, lightweight components and THREE cool color options to choose and three different complete bike build level options. Our Maxwell 26 features a 120mm travel front and rear, with a 200mmx57mm Rock Shox Monarch RT specially tuned for light - but aggressive riders. 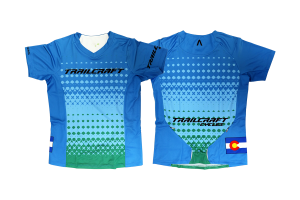 A tapered headtube uses a 44mm upper and 57mm lower headset cup and each frame comes with a Trailcraft headset. Likely the most current in its class, we've designed the Maxwell 26 to be stealth dropper post compatible, 12x148 boost rear end, and a forged rear disc post mount. The Maxwell 26 PRO XT and Deore gets the Rock Shox Reba RL at the more lightweight level or Rock Shox Judy fork to keep the budget in check on our Special Build level. All build levels have high end Stans Crest MK3 26” 28-spoke rim laced to a 12x148mm superlight boost hub in the rear, and 15x110mm boost superlight hub in the front. Schwalbe Rocket Ron Performance 450 gram tires and to keep rotational weight as low as possible, we spec Ashima 85 gram 160mm rotors. 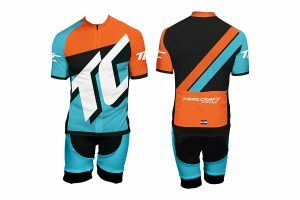 We have three complete bike build options. At the high end we have Shimano M8000 XT. Brakes, I-spec rear shifter, rear derailleur, and 11-42 cassette all are M8000 XT level. Performance level bike we offer full Shimano Deore M6000 10-speed package in a 1x10 drivetrain. Weight of the Maxwell 26 with Stans Crest MK3/Schwalbe Rocket Ron wheelset, Rock Shox Reba fork is and XT level components is about 25 pounds WITH pedals. Weight of the Maxwell 26 with Stans Crest MK3/Schwalbe Rocket Ron wheelset, Rock Shox Judy fork and Deore level components is about 25.5 pounds WITH pedals. 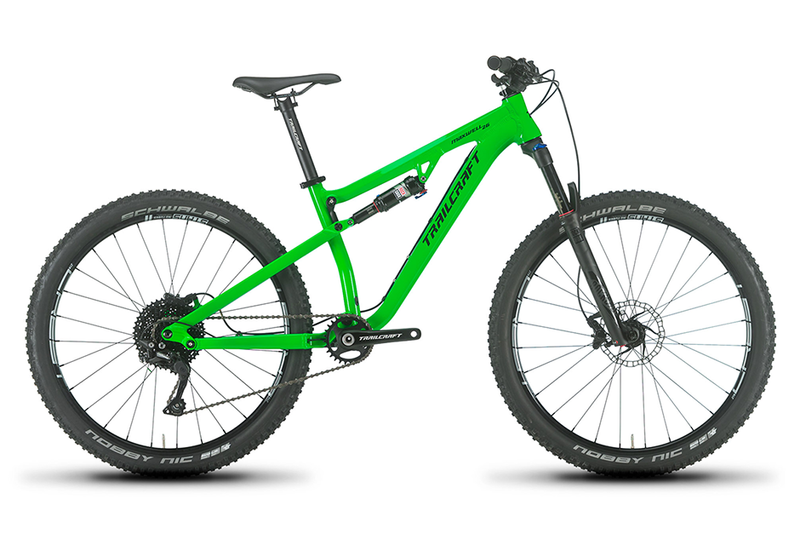 Choose your frame color, fork, as well as drivetrain option and the configurator adjusts the price as you build. For more detailed information please click Specifications and Geometry below the configurator. We invite you to custom build your dream Maxwell 26 bike below!! TIRES Schwalbe Nobby Nic 2.25" or Rocket Ron 2.1" Schwalbe Nobby Nic 2.25" or Rocket Ron 2.1" Schwalbe Nobby Nic 2.25" or Rocket Ron 2.1"
River shows us his backyard trails in Sedona, AZ aboard his custom sub-23 pound Maxwell 26"
I personally think that the Maxwell 26 is a amazing bike! It climbs really well and is a phenomenal descender. We chose a custom build with Crest wheelset and Maxxis Aggressor tires, because I use it to race enduro in Arizona, Colorado, Utah, Wyoming, and California. 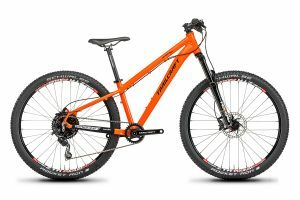 I won the Gunnison Enduro on this bike! It goes down like a champ and it rides back up the stage transfers like a boss. 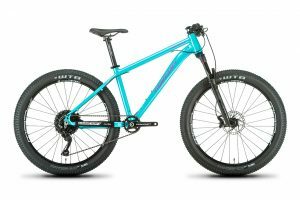 If you are looking for a bike that is really light weight and has lot of travel I think that this is an awesome bike for you!